Your Body Mass Index (BMI) is a calculation intended to show if you are in a healthy weight range for your height. It is calculated by taking your weight (in kilograms) and dividing this by your height (in metres) squared. What is considered a healthy weight range? 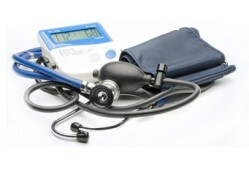 Insurers take BMI into consideration when deciding whether or not to offer life, TPD, trauma or income protection cover. Sometimes if an individual’s BMI is in the obese range a premium loading will be applied to reflect their increased risk profile. There are also now some insurers who offer premium discounts for a healthy BMI. Find out more.